"I'm a little irritated about how much money we have to spend on sports. You know, my wife pays all the bills, so I can just hear what she's talking about, and I get a little frustrated because it's a lot of money." It was Molalla parent Will Martin who directed these comments to the school board and district administration at a recent school board meeting. But I wonder, or perhaps fear, how many parents can relate? Martin went on to express his irritation with having to fundraise in addition to paying the fee. And where does that money go, he begged to know. "There's a lot of kids that don't have the money to play the sport," Martin continued. "There's probably about five or six kids that I know of that wanna play football, which really can't afford it. Their families are poor. So that's what I think the fundraising should be for. It shouldn't be for, you know, gear." Board members were particularly sympathetic to the idea that some families can't afford to participate. "I'm really concerned about something that Will said: that some students haven't been able to participate…" said board member Ralph Gierke. "It makes me very concerned when I find kids that aren't participating when they should be. That bothers me immensely." District administration and the board seem prepared to somehow allocate more money to athletics. But if I'm to be frank, no school board alone can fix this problem. Martin was talking about football, but the larger problem extends beyond football. The cost of all extracurricular activities—football, basketball, dance, gymnastics, music lessons and more, even extending to daycare and preschool—can be burdensome for families. As of 2014, 16.6 percent of Oregonians lived in poverty, which amounts to more than 600,000 people, per the U.S. Census Bureau. Many of these are dependent on state benefits for food. Because these families are fighting for the bare necessities, they likely have little to no funds available for children's after-school activities. But even middle class families may struggle with the cost. The median household income in Oregon from 2013 to 2017 was $56,119, the Census Bureau estimates. 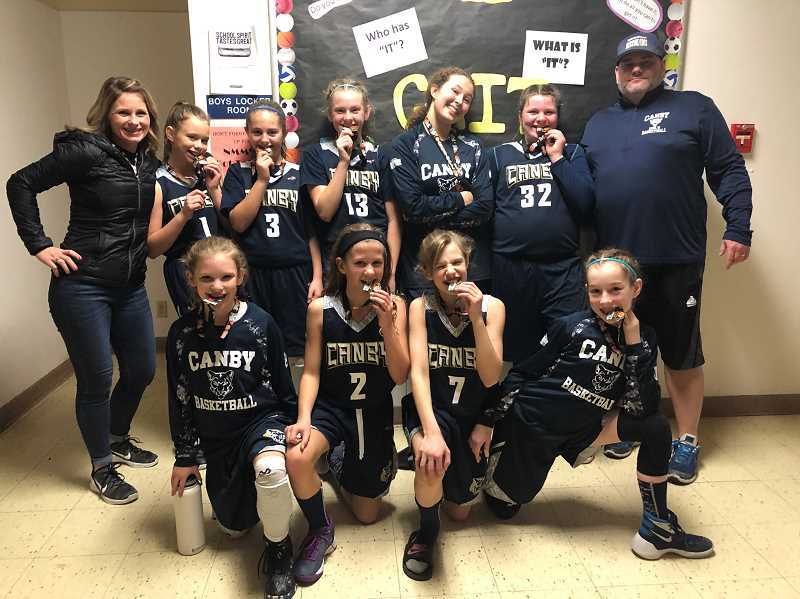 Canby's youth sports fees range from $75-$315 per season. Then add guitar lessons at $100 per month, or dance classes at $60-$500 per month, or classic soccer at $750-$1,000 to piles of bills; then compound costs by multiple children in the home, and even families with mid-range incomes may struggle to provide opportunities for their children. Why does this matter? That root word "extra" in extracurricular activities may suggest that these activities are just that. But these activities are not extra at all; they're necessary. "Sports is a big thing in this community," Martin said. "Number one, you keep kids off of drugs. Keeps them in school. If they don't attend class or get good grades, they don't play. A lot of kids want to play. So you know, it's a win-win for everybody." Martin was shooting from the hip, but he's right about the impacts of extracurriculars, and research proves it. Children who are involved in extracurricular activities have higher self-esteem and academic achievement. Activities also provide supervision and so may help reduce juvenile crime, according to one study by Merith Cosden and peers. Another study by Fred C. Lunenburg concludes that extracurricular activities are "an essential, vital and extensive part of education in America." Yet, when I watch the final minutes of a ballet lesson, cheer from the grandstands at my nephews' football game, or sit quietly in the sweaty heat during my kids' swim lessons, I notice something. It's always the same parents right there with me. And where is everybody else? Well I know for certain some kids are sitting at home, looking for something to do, calling their friends who aren't available because they're at practice, confiding in our kids that they wish they could dance too or their brother could play baseball, but they can't because their parent(s) or caregiver(s) can't afford it. I suppose this is the point when readers might be expecting me to swoop in with my grand solution. I do have ideas which are so nascent that I won't give them space here. But my starting place is this. This editorial. It starts with awareness so that ignorance can no longer be bliss. It starts with all of us knowing, regardless of our perspective—our time of life, socioeconomic status, etc.—that there IS this problem: extracurricular activities are essential to a well-rounded education for kids, so kids should have equal access, but they do not. So, if this topic resonates with you at all, I urge you: have conversations, attend school board meetings like Martin did, vote yes to education, or do whatever else you think might steer us in the right direction. But, and I utter this to myself as well, do not look the other way as you pass by on the other side of the road.